A grand opening banner is one of the best decorations you can get for a ribbon cutting. This is no exaggeration; although a banner is not indispensable, it certainly makes the event whole as it hangs above to announce what is about to occur. A decorative banner can maintain continuity when complemented by outdoor grand opening signs and flags promoting your event. Your aspirations and goals are better confirmed when announced publicly; a grand opening is the easiest and most effective way to let the world know that you are ready to take it on. A grand opening banner emphasizes that message. Your venture is ready to launch and you have decided to celebrate in a big way, so make sure the reason for that celebration will not be forgotten. When used indoors in combination with printed grand opening ribbon and the iconic oversized scissors, grand opening banners create a pleasing setting for your audience to witness your ribbon cutting. 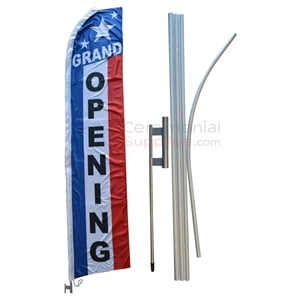 A grand opening banner helps your grand opening stage have a more “full” appearance that brings together all of your corresponding decorations. Grand opening balloons can float at each end of the banner as it runs parallel to the ribbon across the stage. Bows, stanchions, and the red carpet all work in harmony with the grand opening banner to make a picture perfect setting for your ribbon cutting ceremony. Grand opening banners go beyond the ribbon cutting stage. Their use can vary and it all depends on your preference. 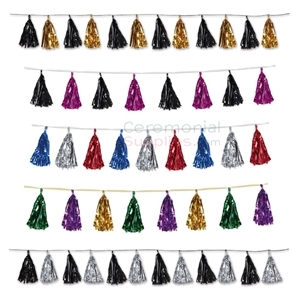 They can serve as a simple advertisement outside of your business venue letting people know that you are holding a special ceremony for your organization. 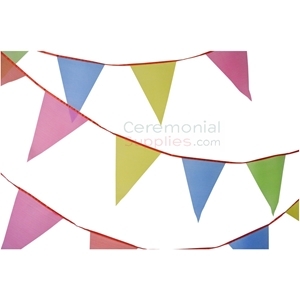 Grand opening banners along with feather flags and signs help you promote your ceremony to the general public. This helps not only to draw attention to the event itself, but it prompts curious passersby to investigate what this new business is all about. A visually appealing banner can help you attract new business, even if you are not holding a ceremonial ribbon cutting event. 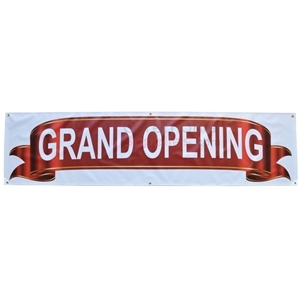 Banners, signs and flags can greatly benefit your grand opening in several ways. Choosing the right type of promotional décor can optimize your event for success. We’ve already covered how banners can help you decorate indoor and how flags and signs help you promote your grand opening remotely, but there is no limitation on the way you use each type. They can all be used anywhere with some creative spark. Properly placed, a flag and a sign can beautifully decorate an indoor facility; you just have to select the right size and style. You may not need such a large size as you would outdoor since you are not trying to call so much attention as you would if you were promoting the event. Indoor, grand opening flags and signs can serve to decorate areas of the room away from the ribbon cutting stage—the rear of the room, hallways, the aisles, etc. 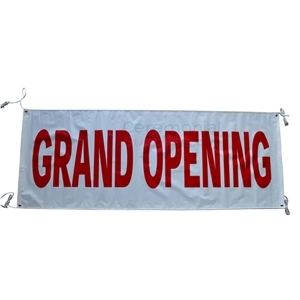 Outdoors, a grand opening banner—like the ones typically used indoor—can be used to promote the event just like any other sign would, except they are usually nicer in appearance. 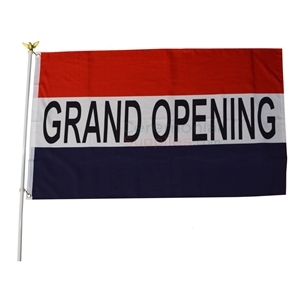 No matter what types of grand opening banners, flags or signs you are looking, CeremonialSupplies.com has the selection that makes us your one stop shop for grand opening accessories and décor. Contact us today for assistance with all your event planning needs.